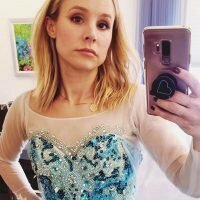 When it comes to Game of Thrones, Kristen Bell and Dax Shepard’s obsession runs deep. Back in 2016, the power couple attended the season six premiere in Hollywood (wearing matching shirts, no less), they teamed up to make a hysterical music video set to the show’s dramatic theme song, and Kristen shed actual tears over the Red Wedding episode. So you better believe the superfans went all out for the HBO series’ eighth and final season premiere. 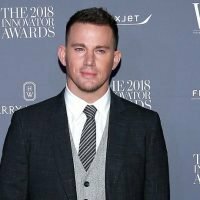 The GOT-loving duo attended a premiere party with a handful of fellow actors on Sunday, and yes, they dressed to the nines for the occasion. Kristen suited up in a shimmery, scaly dragon costume, complete with a hood, tail, and wings, while Dax went into full-on Bran Stark mode, even pretending to have a vision while posing for pictures. Talk about commitment! 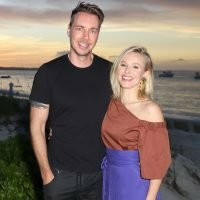 They were joined by Kristen’s Veronica Mars costar Ryan Hansen and his wife, Amy, Dax’s fellow CHIPS castmate Jess Rowland, and Kristen’s The Good Place costar Monica Padman. Check out all the photos from their fire-emoji-worthy celebration below, and you’ll definitely wish your invite didn’t get lost in the mail. 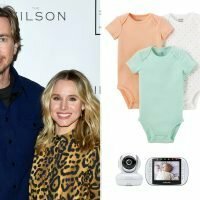 Do Kristen and Dax deserve to win the Iron Throne or what?! 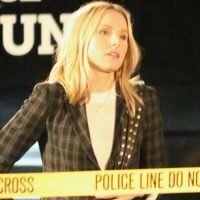 Kristen Bell Films Explosion Scene on Set of ‘Veronica Mars’ Reboot in Hermosa Beach!